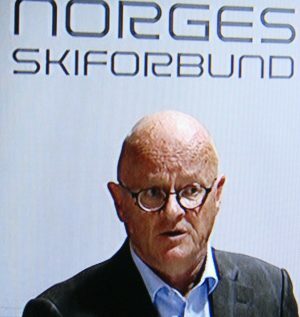 UPDATED: Norway’s anti-doping agency has decided to drop its case against Dr Fredrik Bendiksen, the former doctor for the Norwegian national ski team. Bendiksen was the doctor who purchased a tube of lip cream in Italy and gave it to star skier Therese Johaug to use, without noticing that it contained a steroid that led to Johaug’s suspension on doping charges. Antidoping Norge issued a statement on Wednesday reporting that its board had not found Bendiksen to have acted with the intention of harming Johaug’s skiing career and therefore couldn’t be punished. “According to national athletics rules and the World Anti-Doping Code, prescribing or offering an athlete a banned substance is a violation,” Antidoping Norge wrote, but added that it was unclear what’s demanded to prompt punitive action. The agency said it had reached its decision to drop the case against Bendiksen after consulting with the World Anti-Doping Agency (WADA). “Bendiksen made a mistake, but the doping decisions and World Anti-Doping Code don’t cover negligence on the part of support personnel,” prosecutor Niels Kiær told Norwegian Broadcasting (NRK). Athletes themselves, however, remain responsible for everything they ingest. The decision to drop charges against Bendiksen was not well-received by Johaug herself. “We think it shows that the regulations are inconsistent,” her lawyer, Christian Hjort, told reporters. He noted that she has been suspended for 13 months based on questionable guilt while “Bendiksen is a professional and admitted his mistake, but charges are dropped because there was no intent. That’s unreasonable.” He and Johaug have claimed all along that she had no intent to ingest a steroid either, and merely used the cream that the team doctor recommended. Other sports officials also claimed that it’s wrong to have such different rules for athletes and support staff. Bendiksen himself took all the blame for the doping charges against Johaug and chose to resign as team doctor as soon as the charges became known. He had served as doctor for the women’s national ski team for two-and-a-half years but had practiced medicine for 36 years and was considered an expert on sports medicine and banned substances. When Johaug develop severe sunburn blisters on her lips after training at high altitudes in Italy last summer, Bendiksen bought the cream called Trofodermin at a local pharmacy to relieve Johaug’s pain. Neither he nor Johaug, however, noticed the warning on the packaging of the cream that it contained the banned steroid clostebol. A few weeks later, Johaug tested positive for it and is currently in the midst of a 13-month suspension that’s been appealed by the international skiing federation FIS on the grounds it possibly should be lengthened. Bendiksen admitted that he had given Johaug the green light to use the cream and she trusted him. He also admitted he hadn’t read the printed information contained in the package. He has since declined to comment publicly on the case. Johaug, meanwhile, faces another round in a Court of Arbitration in Switzerland after FIS appealed her 13-month suspension, jeopardizing next year’s ski season as well, along with her hopes of competing in the next Winter Olympics.